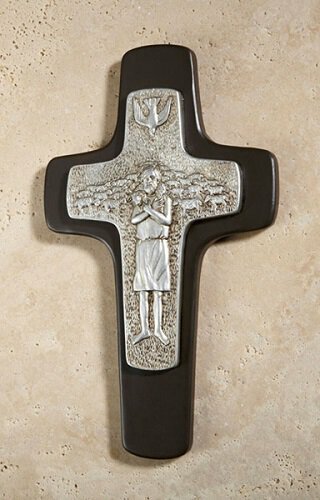 As people of faith, we are reminded to “pick up and carry our crosses” daily. The two-tone cross is a treasured symbol across all Christian denominations. Made of molded resin, it comes with a keyhole backing to hang on the wall or can be used as a tabletop accent.